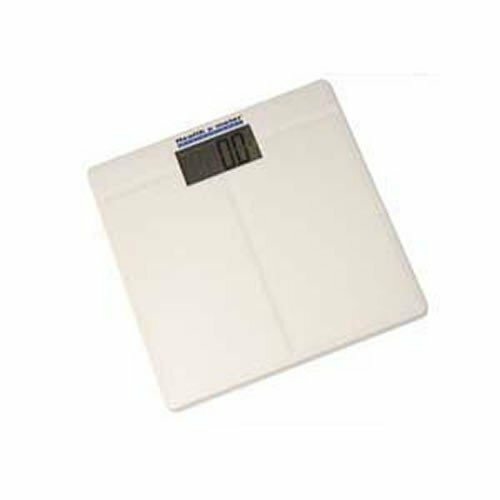 My Health o Meter scale is very similar to this one. My grandsons were playing with it, and now it reads out in kg instead of lbs. How do I change it? I see no button/switch. Thank you! There is a button/switch called "units" that will change from pounds to kilograms and back. That should help you switch it back to the pounds setting. Had customer of 296.4 lbs, held up and continued to work without a hitch. No damage to base. Used on a solid, flat surface. Was apprehensive about digital scale being accurate but it weighs very comparable to the balance scale at docs. Great product, fast shipping, decent price.